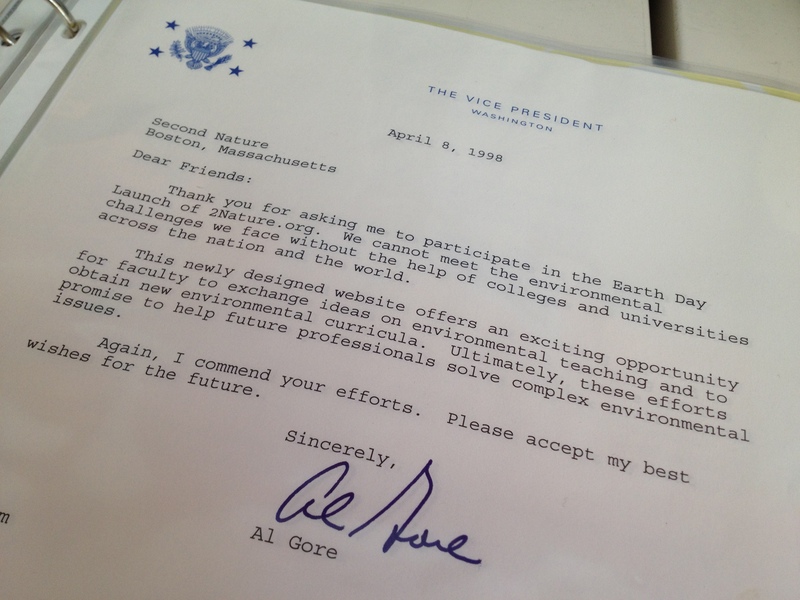 Vice President Al Gore loved it…in 1998. Vote daily for Second Nature in the Carrots for a Cause contest. Multiply your vote by recruiting colleagues and friends to support us. We really need to bring our website up to 2012 standards. Thank you!